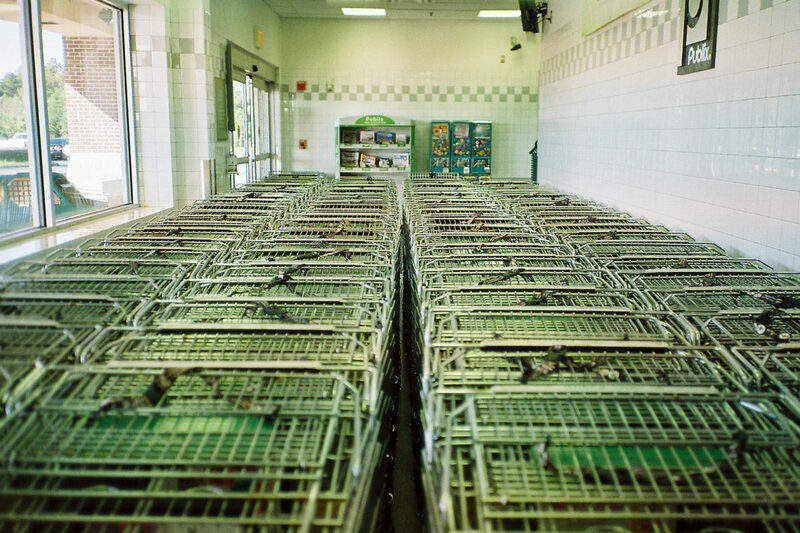 Luigi Rinaldi reflects on an organizing campaign at a grocery store in Rhode Island. This continues our series “Pushing Through,” which reflects on what it takes to develop an organizing campaign into a full-fledged union. From 2014 to 2017 I was part of an organizing committee at a natural foods grocery store in Providence, RI. In 2014, the local IWW branch had started to regroup after a year of inactivity, and given the demographics of the branch, we felt it made the most sense to organize in food and retail. We quickly ended up with a concentration in one particular workplace, this grocery, through our use of salts, of which I was one. I had been talking with other organizers on the West Coast and had pushed a number of IWW members from our branch to get jobs there. Over the course of about two and a half years, we grew from a committee of two to a committee of 13 or so, with probably about 50 more passive supporters out of a store of roughly 200 workers. In many ways our campaign looked like a standard authorization card campaign [a drive to collect cards authorizing the union to bargain on behalf of workers, done in anticipation of an election –Ed.]. This was in contrast to another organizing drive in the company that went a strictly non-election route and went public shortly after our campaign got started. In their case they were not defeated because of union busting, but because the campaign fizzled. Our view was that one of the reasons it fizzled is because there were no clear ways to establish the union was legitimate — an election would have legally required the company to negotiate with us if we won. In general we did not push too many people to join the IWW as dues-paying members, although there were a core of 5 of us on the committee. Our general trajectory was: conduct one-on-one outreach until we have a significant number of supporters among the workers, then blitz the workplace over a short period of time to get authorization cards signed (we aimed for something like 70%), then file an election petition and go public. The committee sometimes met infrequently, although usually at least once a month, where we would socially map the workplace, update our contact spreadsheet, and assign tasks like having one-on-one meetings with workers or getting new contact information. Realistically we should have been meeting weekly. The other problem with our committee meetings was that they were too social, and not down-to-business enough. It was common for committee members to bring a bottle of wine, and the meetings got less productive the more alcohol was consumed. Personally, I’ve been sober for a very long time and was throughout the campaign, and I could have raised objections, but didn’t because I wanted people to feel comfortable. But this was a mistake because committee meetings need to be a serious workspace. We were also dealing with an environment where, especially among the younger workers, there was widespread drug use. In attempts to build social connections with our co-workers, some committee members indulged in heavy drinking and even using drugs. I personally objected to this on a personal level to the people doing it but it was never brought up for discussion as a group and it should have been. Our committee should have openly strategized on how to deal with this as an issue, but largely ignored it. We did not push people hard enough to step up. Realistically, the 5 people who took out red cards (IWW membership cards) did most of the 13-person committee’s work and were the most reliable, but even within the core there was a serious deficiency in terms of knowledge and skills. Myself and another salt were more highly developed, both as organizers and (perhaps less importantly) politically. We could have spent more time having specific conversations about the IWW, what it is, what organizing is, and the commitment we needed from people. We could have run the Organizer Training 101 modules at committee meetings, and pushed people to go to full 2-day trainings as well, maybe even in other cities, to meet other members and trainers in the IWW. Taking the time to build committed members that will weather storms would have helped our campaign. That said, we also did a lot of good organizing work: over the years, we did large-scale social mapping, identifying leaders, and many, many one-on-ones. One of the best parts of campaign, despite its pitfalls, was breaking out from our social groupings in important ways. The core of the committee was made of young people in the shop, but overall there were many important connections made with older workers and especially immigrant workers. At this particular workplace the largest immigrant group were Haitians, and through social mapping we were able to effectively identify leaders and have one-on-ones with those leaders. In turn, the social leaders of the immigrants were able to talk to other workers in that social group and bring them on board the idea of building a union. This became an important transmission belt as there were certainly language barriers: while some (basically, the social leaders) could speak English well, many of them only spoke it rudimentarily and mostly spoke in Creole. In many ways these social leaders did more committee work than some people who we considered committee members, by doing outreach to the rest of the Haitian workers. In our one-on-ones we often prepared people for the idea of taking action, and we also would get verbal commitments from them that they would sign an authorization card and vote yes in the election (we were saving the cards specifically for our final push because they expire after six months, but would check in again with people over time). When we finally told people about the Union by its name, we prepped people for the idea that we may need to go on strike at some point. The big takeaway: take action! I’ve come to believe we failed to build a cohesive unit due to a lack of taking action. We had observed massive retaliation against one collective action in Boston, another place the IWW was organizing with this company, where the union hadn’t yet gone public. In the face of that we took a very cautious road, which I completely understood at the time, but in hindsight I wish we had been a little bolder. As we grew the number of supporters we had, I feel like we could have taken on small-scale collective action. Also, without serious groundwork, which would have involved testing our ability to conduct small-scale actions, I doubt that we would have been able to skip straight to a massive action like a strike, as we had talked about. There would have been no better way to “be the union” than taking action. We collected all that info, socially mapped, did one-on-ones, but it wasn’t always clearly leading anywhere (except, at some point, we figured we would file for a union election). There was a lot to take action around: poor scheduling, especially clopening, arbitrary punishments, a general culture of disrespect, broken equipment, chemicals giving workers rashes. Realistically we could have pulled off something. Retaliation might have happened, but we shouldn’t have considered that one instance of retaliation we had seen in Boston to be representative. Being bolder would have won us more, brought us more support, and I think helped bridge the gap with the Haitian workers. All these workers were “back of the house” (they worked food prep and dish washing). Having the ability to take action and potentially win something, we could have helped them with their issues. I believe we could have involved them in actions like marches on the boss or petitions. They had concerns, but that wasn’t a hard no to participating more. Their attitude revealed more about a weakness in our inoculation and planning as an organizing committee. Ultimately the campaign came to an end when one leader in the campaign sexually assaulted another committee member. I won’t go into the details of that here (it has been discussed elsewhere), but it imploded the committee. A week before the accusation came out, we had made a six-month plan for going public, which included doubling our committee, and doing an authorization card blitz, house visits, and mass meetings. But in the wake of this, many people felt betrayed and burnt out. Rumors started spreading like wildfire around the shop and some people blamed the union itself for it happening. We simply didn’t have the energy or will to pull it together after that and people faded away. The Haitian workers, for their part, weren’t really involved at all in the mess that had occurred and didn’t seem to understand why one person’s actions would affect the rest of the organizing drive. I think the best way to prevent this sort of thing from completely tanking a campaign is not only having a strong organizational policy on handling these issues, but also to build up more leaders on the shop floor, have people take out IWW memberships, and feel a strong investment in the organization rather than seeing it as an outside force. The division of labor (active committee members versus supporters) led to the perception of certain people as truly “being the union” rather than everyone involved in the drive.